National Endowment of the Arts fellow, Ben Livingston is internationally known as a neon/light sculptor. He is the inventor of an opalescent color palette for neon, using a variety of UV sensitive phosphorescent compounds and minerals. 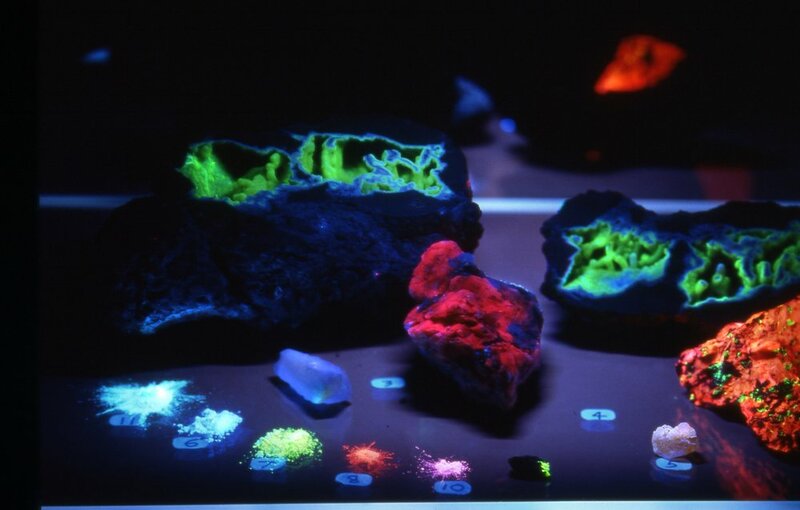 Ben originally observed these glowing compounds in New Zealand in 1985 which ultimately led to his signature work- luminous tubes he calls 'Nightsticks' or 'Spirit Antennae'. Livingston works in a wide range of mediums such as found objects, historical archives and artifacts, photography, wood, copper, steel, glass, drawing, painting, and video. He is also a story-teller, lecturer, blogger, singer/songwriter and performer as well as an actor in film and television. Many articles have been published regarding his artwork, neon landmarks, life, thoughts and world travel. Ben Livingston was born in Victoria, Texas in 1958 and makes his artwork and home in Austin with his family. I like being on to something. That's why my life plays out like a surf safari, filled with hundreds of seasons, paddling into countless waves of random curiosity coupled with an obsession to report the experience. I'm pretty sure it's no different than paleo-man drawing epic hunt and creation stories all over cave walls. As a boy, my father and I used to sit together in a delightfully smelly wild onion patch on the banks of the Guadalupe River. He read Rudyard Kipling stories to me while I fidgeted around, imagining the life of an Indian cobra-fighting mongoose. One day, as Dad was reading away, I put my face down in the onion grass for a “bug’s eye view.” There I was, onion smell in my nose, breeze on my skin, watching the grass stir the blue sky, and I saw that the space between the leaves was as real and active as the things I could see. That space—where the invisible force and fragility of nature is in direct relationship with the tangible world—inspires the hell out of me. It’s the undercurrent of everything I do. The way I see it, the universe and everything in it is constantly in motion, doing its thing, so everything is a work in progress. There is an inexplicable intelligence within this movement that is creation. We are capable of connecting to this universal consciousness through our intuition, which ignites thought, which generates imagination, which creates ideas. That’s how the match gets struck. Bringing my ideas to fruition is where personal observations meet pragmatism. It’s like I’m stirring together my life experience with skills and materials picked up along the way. After that, the artist in me goes to that alchemical place where everything fuses into a beautiful concoction that I keep mixing up with my intuition until it makes sense. Early on in my career, I loved how I could draw with neon like an electric Crayola. But the extraordinary way neon light can transform a space from the banal to the meditative swept me away and I realized I would have to remove the megaphone from the screaming advertiser’s neon by elaborating on neon’s subtleties. Through a fellowship from the National Endowment for the Arts, I invented a process where I introduced UV sensitive phosphorescent minerals and rare earth elements into neon tubes so that they glow with opalescent color. That glow is emitted from within an argon gas filled neon tube, which has been forged using a unique hot glass sculpting style. When they are finished, these “Nightsticks” or "Spirit Antennae”—depending on the sculptural use—achieve that magic I was searching for and transform a space from banal to meditative. The end result I'm looking for is to condense an entire downtown nightscape, a shimmering cosmos, within the contents of a single electrified glass vessel. I strive to create an intimate experience of discovery, within the observer, by introducing the spaces between. Can neon be the perfect metaphor for the force and fragility of nature? That’s where I’m headed.